Recovery on EX Hishoukyaku improved. Follow-ups possible. ff.A has been improved to hit crouching opponents who are in hit stun. Air hangetsuzan hits crouching opponents who are in hit stun. However, upwards hitbox has been reduced. Properties of qcfx2+K have changed. Both versions below have extended recovery on a whiff. Weak Hienzan has less invincible frames. Also note well that invincibility is upper body only. EX Air phoenix kick added. There are a few frames of invincibility on the initial attack frames. "Hangetsuzan isn’t safe on guard so be careful. On the other hand is ff.A can hit crouching opponents in hit stun and EX hangetsuzan can be followed by ff.A in the middle of the screen so regardless of the opponent’s status or distance there will always be combo options available to Kim. So a little bit of a change, let’s use various moves to rush the opponent down without giving them a break!" Kim has always been somewhat of a beast if played correctly and efficiently throughout the years, and this game, he can be a real threat and a strong addition to a team. Even though historically his long range game is still lacking, his mid/close game is still very strong and on point. His normals both air and the ground are very strong which gives him a great potential ground game, and some annoying frame traps. He does need somewhat of a moderate skill level of execution for his bnb combos and his HD combos, but after some practice, you will begin to realize how easy they really are and how important they are to his damage arsenal. Kim meter dependency can be a little on the greedy side if you want to open up some of his more damaging combos and defensive options. He works best as a middle-man or anchor of a team, but he can be placed first if you understand some of his disadvantages without meter. s. A 25 damage, chain-able, hits mid. A short ranged jab that's pointed a bit downward diagonally than just horizontally like many jabs. Not recommended to stop hops because of its slight angle. +2 frames on block. s. B 30 damage, cancel-able, hits mid. Better than s.A for checking and stopping hops in advance because of its longer distance and height. -6 frames on block. far C 80 damage, super-cancellable only, hits mid. A slow stepping side kick that has mediocre range. It has decent push back, but isn't safe on block...but be weary of any hidden charged flash kicks or ex qcb K's for frame trap attempt, if you are on the defense against Kim. -6 frames on block. far D 30+24 damage, hits mid. Fast double high kicks that have some lower body invincibility at the start up. You can stop some 3/4s full screen predicted hops and jump-ins if your spacing is good, but they may be beaten out by some characters down angled jump attacks. Safe on block but the whiff recovery is bad. Overall, a great normal to use for mid-ranged zoning and you can even link it into his s.C, or his d.B if it connects. +3 frames on block. s. C 70 damage, cancel-able, hits mid. A kick to the shin that looks low, but it is actually a mid attack. Isn't terribly unsafe on block and pushes him back a little bit, but not too far. You will be using this in a few of his combos, and you can even play around with this on block for some frame traps with his far D or his B flash kick, or whatever else you feel will punish someone mashing. -2 frames on block. cl. D 70 damage, cancel-able, hits mid. Basically his second kick of his far D. Not safe on block but by not too many frames, but he gets pushed back a bit. His s.A can link to this kick. It's VERY fast, and is actually Kim's fastest normal with a start-up of 3 frames. Use this move when you are in your opponents face to counter any attempt at them pressing buttons when they aren't supposed to. -4 frames on block. d. A 25 damage, cancel-able and chain-able, hits mid. It's quick, has more range than his s. A, and is safe on block. d. B 30 damage, cancel-able, chain-able, hits low. Fast, great range, and a main starter for his ground combos and neutral on block. d. C 70 damage, cancel-able, hits mid. Recovery is a little on the slow side, and it obviously doesn't reach has high as his past d. C's which were used as anti-airs. The range is the similar to his d. B. It's a decent move to punish moves that have horrible recovery into his specials or DM. d. D 80 damage, whiff/cancel-able, hits low. His standard sweep that is still whiff cancel-able. Great range, and its recovery isn't horrible. With all sweeps in KOF, use it sparingly. j. A: 45 (40), cancel-able, hits overhead. A diagonal down angled punch, that can be hit and placed fairly deep. This is go-to cross-up and safejump jumping normal which is also cancel-able too. Good for jumping in from air to the ground but take note that it's reach isn't very far, and it's horizontal space isn't wide either. 5 frames of start-up. j. B: 45 (40), hits overhead. A high aiming kick which is better for ground-to-air or to stop some opponents jumpins when used preemptively. It obviously should not be used for jump-ins or for air-to-air attacking. 5 frames of start-up. j. C: 72 (70), hits overhead. A jumping axe kick that seems better for jumpins and better suited for hop pressure if timed well. The hitbox moves from up to diagonal down-forward pretty quickly, and if timed incorrectly, the kick might miss on crouching opponents. 10 frames of start-up. j. D: 70 (68), hits overhead. This jump kick has great and a good diagonal angle which can be timed to hit fairly deep. Good for jumpings and hop pressure (especially in the corner). 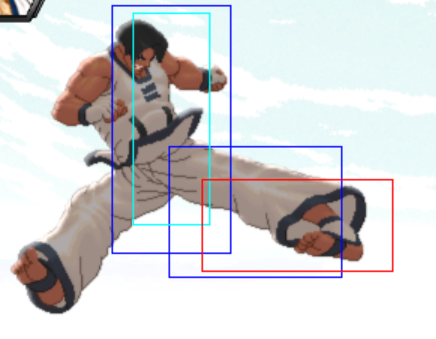 It is possible to cross-up standing or crouching opponents with this kick but it is very difficult to measure correctly because the hitbox isn't very large and is not positioned low enough near his non-kicking leg. 8 frames of start-up. CD: 75 damage, whiff/cancel-able, hits mid. Just like his KOF02 stand CD, it has good range and can be whiff canceled out of but it just starts up a bit faster. j. CD 90 (80), cancel-able, hits mid. A bit less range than his KOF02 jumping CD, but it is still very useful for using air-to-air. Sakkyaku Nage = (b/f+C/D) 100 damage, can be broken, causes a hard knockdown. Kim tosses the opponent around a quarter of a full screen away. This is a good space for Kim to dash up briefly with a jumping cross-up attack or for a safe jump setup (explained later). Nerichagi = (f+B) 65 damage, cancel-able, hits overhead, but hits mid if canceled into. Like former KOF games, Kim overhead is somewhat the same, not too terribly unsafe on block, and pushes him back a bit. You can go into HD mode if this is blocked then choose to hit them with a d.b, or a hop D for a mixup. If you chose to cancel a normal into this overhead as a small blockstring (or on hit), be careful because someone could roll after the first hit or throw out a move with quick starup and invincibility to punish you. Yopuchagi = (f,f+A) 45 damage, cancel-able, hits mid. Kim flies close off the ground almost full screen with a kick that bounces him back in the air and lands almost half screen away. If Kim is near the corner and the opponent is crouching or has fallen, he will bounce off the wall. It is moderately quick and can catch some moves while they are starting up or recovering, but if it isn't properly followed up with an air special move, he can be punished by some quick long ranged moves or DMs. This move completely misses on crouching opponents not in hit-stun and he's open for punishment while he's recovering. It is best used when canceled from his normals, evading ground skimming projectiles (XIII Kyo's qcf+P, Iori's qcf+P, Terry's qcf+A) or for punishing whiffed moves that have bad recovery. Hangetsuzan = (qcb+K) - Kim's signature crescent kick. Both of the kick versions are now unsafe on block (the B version is safe if the last frame of the kick is blocked) and are only cancellable from hard attacks. The D version can be drive canceled at the last (3rd) hit. Try your best to hit-confirm into these, because if they are blocked or whiffed, you are asking to get punished. (EX) = qcb+BD - More safer than the normal versions and starts up faster. You can combo this from light and heavy attacks. If hit point blank, it can cause the opponent to be briefly launched for a ff.A follow-up combo or his Neomax if you have meter for it. Kuchugetsuzan = (qcb+K) in air - Almost like an aerial version of his crescent kick. Kim stops for a split second in mid-air then does a flip axe kick that travels forward a bit. The B version is a mid attack, while the D version is an overhead. You can perform these off of his back dash or a canceled j. A. 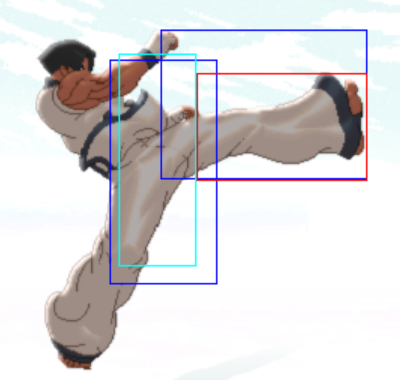 His D version if hit late and at the correct distance can place him almost neutral on block. (EX) = qcb+BD in air - This version when hits the opponent 3 times in the air, then leaves the opponent in a juggle-able state. Kim is totally invincible during this EX move so it is useful to evade and go through fireballs and it can reach far enough to potentially hit the opponent. It's best used in the corner where you can follow up with his f,f+A, both of his flash kicks (d~u+K), his EX DM, or even his neomax. Hishokyaku = (qcf+K) in air - Kim brief stops mid-air to arrow diagonally downward at 5 o'clock for some quick stomps; another signature move. The B version has a steeper angle and comes down slower, while the D version has a wider angle but is much faster. The stomps when they hit keep him in place (KOF02 style) and he can flip backward with a j.D (by pressing D). 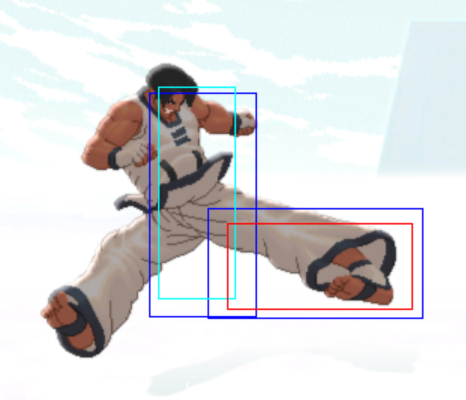 You can super cancel these stomps into his air DM (qcb~hcf + K) if you have the meter, and you hit them with it alone, or in a combo. If you whiff the stomp, you can be punished by a quick normal or super with fast recovery. 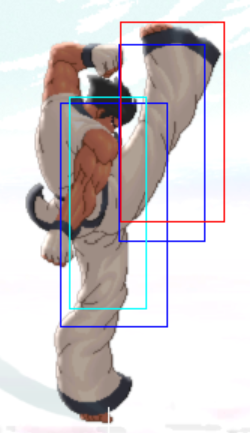 If you miss this in mid range from your opponent, you can even try throwing out his B version of Hienzan (flash kick) if they try to punish you, but don't rely on that too much, and try your best to not whiff it at all. If the stomp is blocked, you can be punished by a fast EX move or DM while Kim is flipping backwards in the air. (EX) = qcf+BD in air - It looks slower than his D version of the stomp, but he keep stomping all the way to the ground (KOF98 style) and he can actually follow up with his flash kick, EX qcb+K, his qcb~hcf K DM or his neomax without using a drive stock. 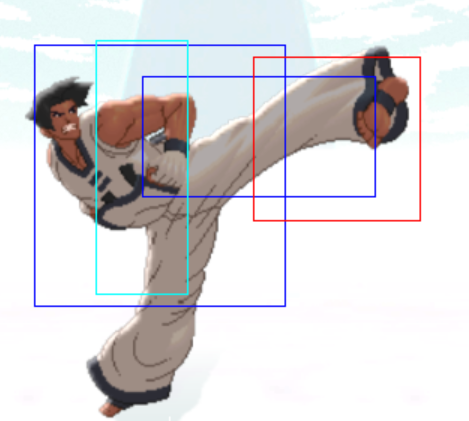 He is safe on block by maybe a frame or two, so if you have the meter, you can use this for some light chip damage, then continue with some blockstring pressure. Hienzan = (d~u+K) - Everyone calls it the 'flash kick', because that's what it is pretty much. Like past KOF years, the B version comes out fast, and is a good anti air, but if its abused, he is open for punishment. The kick is aimed and performed in the middle of the screen height-wise (he grazes the life bars), and he moves forward a bit with a landing a couple of steps from where he started. Because it comes out so quickly, it can be used for some frame traps. This D version comes out fast as well but travels VERY high in the air (his torso is near the lifebars), and starts out the same as the B version; the starting hit placed at a low height where his d. A hits. His down + D follow up (that looks the same as the KOF02 version) after the D version knocks the opponent down hard and does 42 damage. If you whiff the D version, he lands slowly and is open for deserving punishment...just watch for his down + D while you approach him if someone wants to throw that out last minute on the way down. (EX) = d~u+BD - Kim does two flash kicks on the way up with an automatic down + D. It has really fast start up and has some invincibility too. As far as using this as anti-air, it MIGHT whiff on those hopping in on you from far distance, because it shoots up kind of steep diagonally upward. Hououkyaku = (qcb~hcf+K) - Kim goes on full alert then dashes towards the opponent and places 9 fast hits which ends in his flash kick for a soft knockdown. This ranbu super which in this game starts up a bit slower and seems to not have any invincibility on it whatsoever. If someone does it randomly full screen and if your reflexes are extremely quick, you can even jab or light kick them out of it. You can still punish some moves that have horrible recovery, and you can combo it from light and heavy attacks. (EX) = qcb~hcf+BD - Same general concept as the normal DM version, but starts up faster (still doesn't have any invinciblity), and does 12 hits ending with a flash kick with his down + D follow up for a hard knockdown. You can still combo this from light and heavy attacks. 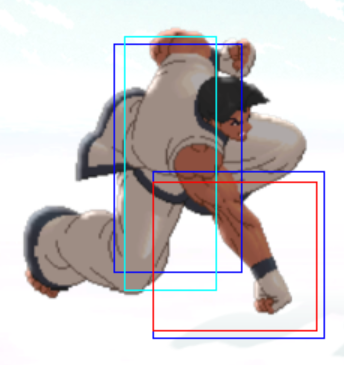 Air Hououkyaku = (qcb~hcf+K) in air - Almost the same properties as his ground DM, but applied in the air. You can catch some sloppy and expected jumpins with this if you tiger knee it backward, but it does have some start up, so it might lose an attack if the super is done too late. You can combo this into from his f,f+A attack, which can come from his d.b, d.b, s.b combo, or his j. A which is cancellable. (EX) = (qcb~hcf+K) in air - This EX version ends with 12 hits and a hard knockdown. The start-up and recovery seem the share the same values as the normal version, but it does seem to have a small bit of invincibility at the start. Hououhitenkyaku = (qcfx2+K) - Kim performs a single, HIGH placed kick that pops the opponent up in the air. The B version knocks them slightly backward, while the D version places up straight up KOF02 style. As far as invincibility, compared to the KOF2002 versions, it doesn't seem to share the vast amount it had in that game, and it is actually quite brief, compounded on its slow start-up. The B version has some invincibility while the heavy kick (D) version has none. Both of the versions (light and heavy kick) are rather safe on block and provides comfortable push back, but has horrible recovery if whiffed entirely. Use the B version for anti-air full jumps and super jumps, while leaving standing B and D for stopping incoming hops. Rei Shiki Hououkyaku = (qcb hcf+AC) - Same concept as his DMs but Kim travels VERY fast towards his opponent, and wails at them with a fast flurry of kicks switching sides ending in a dramatic axe that causes a hard knockdown. It is probably best used after a HD combo max cancelled or from some light attacks, or from a juggle in the corner by his EX air qcb+K or ground EX qcb+K. You could use this to anti-air some high jumps, but it isn't invincible or has a low hitbox, so it might get beaten out. This is also good to punish moves with bad recovery also. d.Bx3, s.B => A quick easy four hit confirm which can be shorten to only 2 or 3 hits if the opponent is too far. In the combo sections you can use one or two crouching light kicks but the damage will be lowered a bit. This confirm easily goes into his ff+A command normal most of the time with no super meter, or just into his qcb+BD if you have stocks saved. 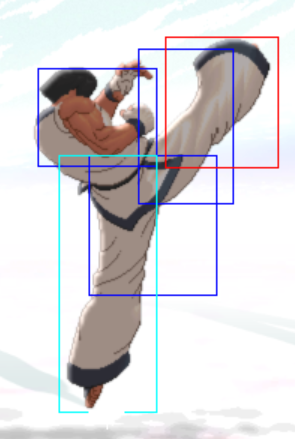 This light kick string easily confirms into his HD activation with just enough auto-dash for a st.C or st.D into whatever combo. On block, this string ending in s.B places you a character and half space away from the opponent depending on how many crouching light kicks you perform. You can decide to end the string in the s.B to give yourself and your opponent a bit or space, or walk up and give them more d.B's to keep up the pressure. d.Ax3, s.B => Similar in concept to the d.Bx3, s.B string but instead, using crouching light punches which are mid attacks. This can be useful to apply next to using the crouching light kicks because they are easy to confirm and if they are blocked, gives Kim +3F of frame advantage. Keep in mind that the combo damage is lowered because a crouching light punch outputs 25 damage points. d.B, d.A, d.B, s.B => A 4-hit confirm which may take a small amount of practice to get used to because all the hits chain into each other. You can omit one d.A to go straight into the d.B, s.B for a 3 hit confirm or you can even switch it for a s.A jab which will whiff on some crouching opponents but will give you an easy normal throw set-up. cl.C/cl.D => A single hit confirm into a combo is a little tough, so it's best to use ff+A after either of these, unless it's a punish, then you're free to use these single normals (which provide good hit stun) into his qcb+D or EX qcb+K or confirm into HD. Far D, d.B, s.B = 4 hits which takes practice to perform consistently but very practical and can lead into a hard knockdown depending on the combo finisher you choose or into an HD activation. Far D, cl.C => Much more harder to link into compared to d.B link. This link more stricter but has more damage than the d.B link, but choose for yourself which link you feel is more useful and easier to land in matches consistently. A very important combo to learn because it is easy to confirm and leads into a hard knockdown for safejump and cross-up setups. If you want more damage, and you confirm from a jumpin, you can substitute the low and stand B attacks for a cl.C or cl.D into ff+A. Even though it does less damage than his ff+A, qcb+B combo, it still knocks the opponent down hard for a cross-up setup. Add a whiffed ff+A after the knockdown to follow them while they wake up. Great damage, and ends in a hard knockdown for a safejump setup or a cross-up. A little tough sometimes to get the super out after the ff+A, be sure to hit all the angles of the super as accurately and smoothly as you can, or else it wont come out. Once learned, it can be a very useful combo because the damage is solid, and there is no need to waste your drive gauge. A cool looking combo that can be performed midscreen (you have to get the ff+A out after the qcb+BD as quickly as you can), but easiest performed in the corner for a hard knockdown. It's more important to learn this combo from starting with d.Bx3, s.B because of the easy damage from a low attack without any drive gauge. Best performed midscreen leading into the corner. If you replace the jump-in and stand D with d.Bx3, st.B into qcb+BD, the damage will be 459. If you have the meter and no drive gauge left, and you need the kill, use this combo to finish them. You can omit the qcb+B if you are having trouble linking it after the qcf+BD but the damage will be reduced. Pretty good damage, doesn't need a drive bar, and knocks down hard. A variation of his meterless corner hard knockdown combo with bit more extra damage. You can use qcb+B instead of qcb+D if you feel that your flash kick at the end will miss. Very easy to pull off, once you can confirm the cl.C or cl.D into the qcb+D, the rest is simple, and it ends in a hard knockdown. Any of the combos below can be started before HD activation with the combos above. A jump attack may be added to the standing normals for more damage. You may omit the qcb+B if you feel it would be easier to connect the NeoMax after the missed qcf+K. The shortcut for weak hienzan to NeoMax is [d],db,b,ub + B db,f + AC (reverse tiger knee B, then down back to forward AC). 1.) st. A > cl. C (L) - 2 frame gap between st. A and cl. C. St. A whiffs on crouching opponents, except on Daimon, Raiden, and Maxima. 2.) st. A > cl. D (L) - 1 frame gap between st. A and cl. D. St. A whiffs on crouching opponents, except on Daimon, Raiden, and Maxima. 3.) cr. A > cl. C (L) - 1 frame gap between cr. A and cl. C. 4.) cr. A > cr. C - 4 frame gap between cr. A and cr. C. 5.) cr. A > cl. D (L) - 0 frame gap between cr. A and cl. D. 6.) cr. A > far D - 3 frame gap between cr. A and far D. 8.) cr. B > cl. D - 3 frame gap between cr. B and cl. D. 9.) Last hit of far D > st. A (L) - 2 frame gap between the last hit of far D and st. A. St. A whiffs on crouching opponents, except on Daimon, Raiden, and Maxima. 10.) Last hit of far D > cr. A (L) - 1 frame gap between the last hit of far D and cr. A. 11.) Last hit of far D > st. B - 3 frame gap between the last hit of far D and st. B. 12.) Last hit of far D > cr. B (L) - 1 frame gap between the last hit of far D and cr. B. 13.) Last of hit far D > cl. C (L) - 1 frame gap between the last hit of far D and cl. C. 14.) Last of hit far D > cr. C - 4 frame gap between the last hit of far D and cr. C. 15.) Last of hit far D > far D - 3 frame gap between the last hit of far D and far D. 16.) Instant air qcb+D > cr. A - 4 frame gap between instant air qcb+D and cr. A. 17.) Instant air qcb+D > cr. B - 4 frame gap between instant air qcb+D and cr. B. 18.) Instant air qcb+D > cl. C - 4 frame gap between instant air qcb+D and cl. C. 19.) Instant air qcb+D > cl. D - 3 frame gap between instant air qcb+D and cl. D.
Kim has a lot of Hard knockdown moves, Air qcb+K, d~u+D~d+D, d~u+BD, his throw, his qcb~hcf+BD, and the last but not the least his Neomax:qcb~hcf+AC. Sadly you don't have the time to safe jump right after a qcb~hcf+BD. But you can safe jump safely after his other moves if timed correctly. Works for both situations, opponent on the Ground or in the Air. Little delay then Hop.A/B/C/D/CD (The C version is really nifty). 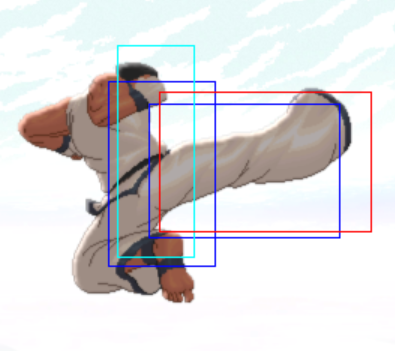 2 Frames Safe Jump, you will eat Kyo Ex Orochinagi if it's well timed, and other 2 Frames invincible moves, but guard Ex or normal dp, it's working both in corner and midscreen. Works for both situation, opponent on the Ground or in the Air. 3 Frames Safe Jump, you will eat Kyo Ex Orochinagi if it's well timed, and other 3 Frames invincible moves, but guard Ex or normal dp, it's working both in corner and midscreen. 3 Frames Safe Jump, you will eat Kyo Ex Orochinagi if it's well timed, and 3 Frames invincible moves, but guard Ex or normal dp. In mid air it's really random. You might be safe jump only slow invincible moves, be very cautious. Hop A ASAP after landing. If your opponent is close to the ground (combo height): 4 Frames (Or more) Safe Jump, you will eat Kyo/K'/etc Ex dp, but win against the A version and guard C version. Works both on midscreen and the corner. 3 Frames Safe Jump, you will eat Kyo Ex Orochinagi if it's well timed, and other 3 Frames invincible moves, but guard Ex or normal dp. Works for both situation, opponent on the Ground or in the Air Little pause then hop. Not very much Kim can do in this range. Try your best to sneak into mid or close range but actively defending yourself with stand B, and using hop CD to pressure the opponent. Evade ground skimming projectiles (XIII Kyo, EX Iori, Terry) with ff+A or air qcb+K, but be sure the kick connects. If you're willing to spend meter, EX Hangetsuzan (qcb+BD) is great for pressuring or catching your opponent off-guard with it's speed. Use Air EX Hangetsuzan (air qcb+BD) or EX Hououkyaku (air qcb~hcf+BD) to win air-to-air attacks. Kim's st.CD is good for standing pressuring, or cancelling into a special to reverse. st.B is a great poke that stop attempted moves, or link into Yopuchagi (ff+A) for a longer attack. st.C doesn't reach as far as st.CD, but still surprises and is quick enough to stop many attacks. Far D is great as for ground pressure and dealing with hop-ins; you can use it multiple times, but you can still be stopped by many sweeps or crouching light punches, so be careful. If you have meter, anti-air full regular or super jumps with light kick Hououhitenkyaku (qcfx2+B) or EX Hienzan (charge d~u+BD). Kim is very dangerous up-close. He has great hit-confirming normals (crouching B, far D, close C/D), a standing overhead (f+B), an almost instant air overhead with air qcb+K, a 3 frame crouching A for pressure, a very fast close D and his stand B which can confirm into qcb+BD, ff+A, or HD on hit, while pushing him back slightly on block. When Kim's opponent is cornered, you have several options here. st.C - Nerichagi (f+B) - (optional) qcb.B Hangetsuzan to put him in a short blockstring, while strong Hienzan (charge d~u+D) can frame trap him. Nerichagi (f+B) is usable by itself. Or you can fake retreat and hop back and use Kuchugetsuzan (air qcb+K) to overhead or if you think they'll be open. Not a good place for Kim to be at all. Use meter to Guard Cancel Roll or for a Blowback attack if you can. Catch opponents jumping in with EX Hienzan (charge d~u+BD) or light kick Hououhitenkyaku (qcfx2+B). Kim's most consistent BnB is his cr.B(x2), st.B, Yopuchagi (ff+A), Kuchugetsuzan (air qcb+B) from the air; an excellent BnB combo for meter building too. st.D puts up a great defense/offense moving forward. Keep the pressure on with varied attacks, with cr.B(s), overheads like Nerichagi (f+B), and aerial specials Kuchugetsuzan (air qcb+K) and Hishokyaku (air qcf+K, best to follow up with a quick D, especially if opponent blocks). With neither Meter nor Drive, it's best to be as rushdown with Kim as possible, within reason. Kim can be very vulnerable to spamming and other long-distance attacks, so it's best to keep him close to land combos and gain meter. With EX available, Kim's arsenal gets that much more deadly. EX Hangetsuzan *qcb+BD) opens a few possibilities that can lead to Yopuchagi (ff+A), (EX) Hououkyaku (qcb~hcf+BD), or others. You can use EX Kuchugetsuzan (air qcb+BD) to open up an unblocking or airborn opponent into a potential juggle with Yopuchagi (ff+A) or Hienzan (charge d~u+K). Available drive gives Kim a few advantages. With half drive, you can do a few special cancels like cancelling the last hit of a Hangetsuzan into a Hienzan, or a Hienzan into a Kuchugetsuzan for extra damage. You can also do a HD combo without meter with several Hangetsuzan/Hienzan Drive Cancels, but best to save it for when you have meter to add even more damage. With both meter and drive available, Kim is a beast for sure. Tactics like drive cancelling Hienzan into EX Kuchugetsuzan, or Hangetsuzan into the Hououhitenkyaku DM for juggling. You can also drive cancel off of any special you can hitconfirm off of, except Kuchugetsuzan. Kim as a rushdown-friendly character works relatively ok without meter or drive. He's got several options with specials and command normals by themselves, including overheads (Nerichagi & Kuchugetsuzan), anti-airs (Hienzan), etc. This is also the position where's he's most likely to get zoned with decent speed to move, but no projectiles to counter. For the most part, Kim has to be in close-proximity with his opponent 90% of the time, but he can do very well for himself with just that, even OCV if he's good enough. Being viable with our without meter makes Kim a very good threat to put on second. Depending on his drive/meter position, he can successfully put weak or strong characters on defense, and save, spend, or build meter well depending on his teammates. Kim being last can be very uplifting, or can rattle nerves if he's last, especially depending on meter status. Against most usual Anchors like Shen (who are probably equally armed with meter/drive), it's not guaranteed whether a player should be gung-ho with Kim or not. As most anchor positions look to hit-confirm cr.Bs or anything on the ground into an HD combo, more airborn attacks can be recommended for important strikes to break the opponents attack flow. And if Kim is last and a risk of being OCV'd, this is where Kim should practice patience and wait for solid hit-confirms. Come backs with Kim are very possible, but it will take a mostly concentrated effort to do so. Best to save/build meter and stick to BnBs until you get to the last your opponents anchor to ROCV (reverse OCV). Most of Ash's game will be keep away and baiting an expected jump. Most of the time try to hop (not jump or super jump) over his projectiles. Stay grounded as much as possible, use st.B and st.D (less since it's slower) to break Ash's momentum. Anticipate Nivose as much as you would use Hienzan on someone jumping in on you. Athena is almost zoner-reliant, but still can produce a lot of close-range strategies pretty well. Be aware of Psycho Balls (qcb+P) from long-range, especially EX versions as she'll try to meet you half way as you jump or hop over it. Keep somewhat of a distance at close range to avoid Psychic Throw (hcf+P, and be ready to halt completely once you see going for Shining Crystal Bit (hcbx2+P). Since Athena has a tendency to be in the air a lot, best to utilize Yopuchagi (f,f+A) if you see her hopping, or air qcb+K (make sure there's space between you two when you attempt it) or Hououkyaku (qcb~hcf+K) in the air. Benimaru has great close-to-mid attacks and defense, so you should be pretty cautious when approaching him. Raijin ken (qcf+P) will be annoying to get around, especially when done in the air. Best move possibility against this Yopuchagi (f,f+A) if you can preempt him. If you've got Beni close to the corner, don't let him grab you to reverse positions, or you'll be eating a nasty corner combo. Always be on the look out for a cross up with his j.D. As often as he might do it, try to make sure you're not in a cross up position, and you should only be crouching to prepare Hienzan (d~u+B version for Beni hopping usually, D for jumps). And if you expect an EX Benimaru Lancer (qcb+AC) out of him, EX Hangetsuzan (qcb+BD) is usually the best bet to hit him quickly while avoiding the lightning strike. Billy, being the obvious zoner that he is, hops and hyper hops are going to be your best access point for his ground game; Kim's high-air game will be threatened a lot by Billy's Suzumeotoshi (qcb+P). Don't rely on Yopuchagi (f,f+A) much to get in on him. Most of his mid-range game could be his Daikaitenkeri (f+A), which you shouldn't be afraid to trade against Kim's st.B. Close range will most likely be multiple cr.Bs, but pay attention to when he has meter, because it will be better to bait his EX Kyousyuuhisyoukon (dp+BD) to punish or make him waste meter. Being the smallest character in the game, be prepared to approach him differently. On ground guard, you'll have to switch a bit between standing guard and crouching guard. Crouching guard puts you at risk for Uronkochu (df+D), and the combo that follows. Kim can be taken a lot by Chin on the ground with his Suiho (qcb+P) and countering Ryu Sogeki (qcb+K). You'll rarely see him in the Chokaroh stance (down, down+K), but don't be afraid to attack him there as he can't block in it. Kim has some better chances of hitting Chin with hops and sometimes jump attacks, but his CD in the air is one of the best in the game, so expect those if you meet him in the air. Like Ralf, has a great standing C and decent D to keep you at bay, but will rush you down most of the time. Recommended for Kim to use more aerial and low attacks. Look out for his Gatling Attack as it comes out very fast and works as a great anti-air. Use combos starting with low B, st.B pokes for his hops, and use weak Hangetsuzan (qcb+B) to bait Clark's attempt at SAB (hcf+P). However, a 3-4 hit strong Hangetsuzan (qcb+D) will break the auto guard Clark's strong SAB. Youpuchagi (f,f+A), Hishokyaku (qcf+K), can be used to attack and bounce off of Clark, and keep j.B and Kuchugetsuzan (air qcb+K) handy for a lot of Clark's forward hops. Duo is a heavy ground/mixup threat, so it's probably best to keep Kim airborne a little longer, especially since Duo's aerial game is kind of weak. Be careful of positioning as his Genmu Kyaku (f+B) will hit wherever you are on the ground. Yopuchagi (f,f+A) can be used freely more against him since Duo is usually looking for the Suteki Juryu (qcf+Px3) combo mixup. Also be ready for him to change positions completely with his Hike Kyaku Zen/Ushiro teleports (qcf+K, qcb+K). Hishokyaku (qcf+K) is a good asset agaisnt Duo for attacking or getting closer to him while out of range of most of his attacks, though if you bounce off of him after he defends, be ready to block low. Elizabeth being mostly a close-range character means more chances to advance on her. Like Benimaru's Raijin ken (qcf+P), Etincelles (qcf+P) is a good keepaway projectile. Her Noble Blanc DM (qcfx2+P) is works as well as Etincelles, but be aware of the EX being able to travel across the screen. Her one mid-to-long range asset is her Coup De Veine (dp+P) which can reach from a forth of the screen (A version) to half (C version). Avoid getting hit by Coup De Veine as it can be followed up to a decent super/corner combo, or by her Grand Rafale DM (qcf~hcb+P). And her Mistral (hcb,f+P) is a good reminder to not always be close-range. If she has enough drive and meter, and the player is desperate enough, be aware of a possible NeoMax counter in her Etoile Filanto (qcb~hcf+BD). Kim's best bet against Daimon is mostly mid-range play, but don't be surprised if his st.B, st.D, or CD can reach you as you try hitting him, which can be beat out by Kim's st.CD, but not always. Jiraishin (dp+A) ensures he can hit you full-screen if you're trying to run away, and Kumotsukaminage (hcf+A) means you shouldn't jump at him so much. Empty jumps and Kuchugetsuzans (air qcb+K) can usually catch him off guard. Daimon's biggest advances are running to grab you or hopping forward doing CD, best beat out by Kim's Yopuchagi (f,f+A)if you expect him to hop, or Hienzan (d~u+K) if you can time it right. It's best not to let Daimon intimidate you, even if it means constantly poking with st.B or st.A to stop him from trying to grab you, which is his priority. Hwa Jai is a character that can easily match Kim in aerial match-ups, even surpass him sometimes, so don't be quick to take Hwa from the air excessively. His TNT punch (qcf+P) and his st.CD control his personal space really well. Hwa can be a little more aggressive against Kim with Dragon Tail (qcb+K) and Dragon Kick (dp+K), which might be a reason to wait for an opportunity to punish more often. Empty hopping might bait a Dragon Kick (B [anti-air] version) to attack. Dragon Tail can be beat out by Hienzan (d~u+K). If you find yourself above Hwa in the air, Hishokyaku (qcf+K) will come in handy. Look out for Hwa's slide (df.B) to start a combo for him. Be aware of Dragon Backbreaker (qcf~hcb+P) if you're doing a lot of blocking, or if Hwa is blocking a lot. Once Hwa activates Drink Pink (qcbx2+P), be very cautious about getting caught in longer combo strings. Iori's usual rushdown-style can be similar to Kim's in how aggressive they can often be. Iori's Yumebiki (f+A) is a quick slash often used to start a combo string; best remedy against it would be sweeping or poking with st.B. 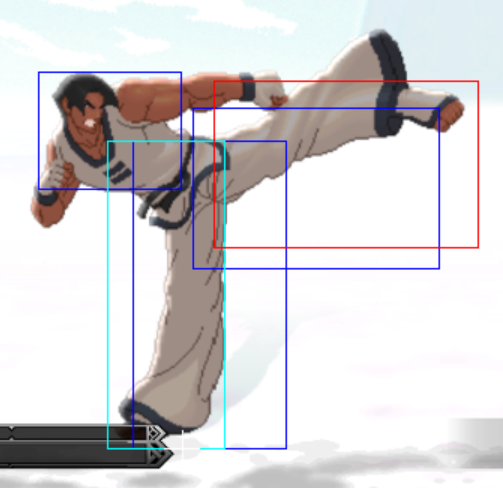 Kui, Iori's overhead (df+C), will be used often independently if you're crouch-blocking too much. Yur Ori (j.4B aka Taco) catches in the air from behind, so expect a lot of cross-up attempts using that. Since Iori is usually on the offensive, he can be caught off guard a little more with Nerichagi (f+B), Hangetsuzan (qcb+B version), and Kuchugetsuzan (air qcb+K), but don't forget about Tsuchitsubaki (hcf+P), Iori's grab. The classic Iori style is a little more of a threat to Kim that Slash Iori is. Minus Gofu In Shinigami (f+B) replacing Slash Iori's Kui (df+C) for an overhead attack, the tactics for command normals remain the same. Oniyaki (dp+P) is a more dangerous anti-air, but easier to bait and punish with Kuchugetsuzan (air qcb+K) since it's a vertical attack. In his rushdown, EX Iori will attempt to grab you out of blocking with Kuzukaze (hcb,f+P) to start a free combo. Pay attention when he uses Aoihana (qcb+P), as it can be cancelled or slightly delayed to catch you off guard. Hops easily avoid Yami Barai (qcf+P) projectiles. If Iori has the meter and drive for an EX, though it's rare, be ready for En'ou NeoMax (qcb~hcf+AC) and try to avoid it with a backwards hop or jump. Joe, like Hwa, controls his personal space well with st.CD and normals, but his attacks aren't as rushdown as Hwa's. Joe will play keep-away a bit with Hurricane Uppers; if he's throwing a lot of them out, try to hop or roll around them to Joe's mid-range, in-case he's waiting to bait you with Tiger Kick. Close-range, his Tiger kick has some invincibility to it, so don't expect to beat or trade against it. And his rushdown will mostly start with Slide, so be ready to defend low. If he spamming Hurricane Uppers a lot , and you have the meter, hitting Joe with Hououkyaku at it's highest hop arc, or lower jump arc can catch him. Mid-range on the ground, he can be caught off guard against an EX Hangetsuzan. One popular tactic with Joe spammers is if they're trying to keep you mid-screen, and they have the meter, Joe will break out Screw Straight NeoMax if you're trying to jump your way towards him. For Kim, K' is a character that almost dares you to come his way to get hit by his Eins Trigger and Second Shoot (projectile) or Second Shell (anti-air). Getting around the Eins Trigger and follow ups can be tricky. Sometimes it's better to sweep him, or hop.C/D onto K' in the middle of the Eins Trigger, before he follows up. His most commond rushdown is cr.B(x2) into Eins Trigger, so be ready to block low if he runs at you. His C version Crow Bites on wake-up is quick, so it's better to block after running up to him after a knockdown, even if to risk being grabbed. Expect a mid-screen Minute Spike every now and then, even if it's to try to low hit with the Narrow Spike follow-up. The only move Kim has that's faster is arguably his EX Hangetsuzan, but Hienzan can be a good answer to for it. If you're not expecting a Crow Bite or Second Shell follow-up, Hishokyaku can surpise K'. A mirror match with Kim is really going to rely on a lot of yomi and reactions. It's important to remember everything you're capable of, and think ahead of your own moves to anticipate what's coming. While waiting for a lot of opportunities with Hienzan, Kuchugetsuzan, etc. the Kim that rushes down and pressures more is more the victorious Kim. Best to keep low pressure with cr.Bs and try Nerichagis or grabs to open them up. Against the projectile queen of XIII, King can make getting to her an obstacle course, even for Kim. Rushing her down is the best way to win, but you have to get past many Venom Strikes usually, and once you get in-range of her, Trap Shot is a big hazard to avoid if you're hopping to her (B or D versions) or already on her (EX version). From mid-range, Tornado kick has great reach, and her own rushdown is assisted with a slide that can be comboed into. Hishokyaku and aerial Hououkyaku (on good yomi reads) can catch her off guard if she's prone to jumping a lot. For Kim, Kula would be a somewhat easier version of K' to deal with. In some ways worse though, typically with getting caught in an infamous Kula corner combo. Her missed or baited Crow Bites leave her open for more combo opportunities. Diamond Breath can mostly be blocked or countered with hop.C. Even though Counter Shell is meant for projectiles, getting counterhit with it could put you in a counter-wire position, so be careful. Ray Spin is her most dangerous forward motion for you. Mostly if you can jump around it or strike from above with a Kuchugetsuzan or Hishokyaku. Her best rushdown stragetgy can be like yours, but the priority on her cl.C or the quickness of her cr.Bs shouldn't be taken lightly at all. For her DMs, if she's got the meter, be aware of Freeze Execution or Neo Freeze Execution the most as Foxy or Diana will hit across the screen, so restrict jumping or hopping a lot. Kyo's qcf+B on block cannot be punished by any of Kim's moves, but his qcf+D is less safe and can be punish by Kim's d~u+BD; his EX flash kick. The blockstring of d.B, d.A, (or cl.C), df+D can be punished by his qcb~hcf+BD, his NeoMax (qcb~hcf+AC), and his qcb+BD. If someone cancels the df+D into his qcf+A, try to Guard Cancel Roll the df+D (which can only be canceled on the first hit) so you end up behind him, and punish with a combo. Rekka Kyo is almost back to his 98 self, with having armored Rekkas. Compared to XIII Kyo, EX Kyo has many more attack variations to watch out for. His starting rekkas in 104 Shiki: Aragami (A version) and 115 Shiki: Dokugami (C Version) both have armor to them, as well as 100 Shiki Oniyaki, so don't be so will to trade blows as yours might get totally deflected. Yopuchagi has some luck with hitting off of them, but nothing guaranteed. His 75 Shiki: Kai doesn't automatically have two hits to it, so be aware of Kyo's possible fake out into a dangerous attack. R.E.D. Kick, especially EX with tracking, is much like Kim's Kuchugetsuzan, but starts from the ground, so expect his move to strike first, though Hienzan from the ground can hanlde him. This Kyo relying more on rushdown. Leona is very much a speed and aerial threat even for Kim, especially with her X-Calibur and V-Slasher. Her Strike Arch overhead is very valuable to her, and means you should be ready to go from blocking her cr.Bs to a standing block quickly. Be aware of Leona's Moon Slasher in case you feel like jumping/hopping too much at her. Baltic Launcher works almost as well as Beni's Raijinken, but can be beaten with a sweep if expected. Her Earring Bakuden is a great way to put you on the defense so she can advance on you; depending on the arch , your best bet might be to empty hop or jump back and land a Kuchugetsuzan or Hishokyaku. Since she has to rely on quick advances and pressuring more than most, it could be in your interests to fake her out with the CD cancel into special (Hangetsuzan is recommended, A or C depending on range). If you think you will meet her in the air, j.C is recommended if above her, and j.CD if you think you'll be on her level. Mai being the most aerial user in the game means you'll have plenty of opportunities for Hienzan counterattacking, but she has a lot of aerial options, including a strong j.CD, the Musasabi No Mai evasion and dive, and aerial throw if you're jumping a lot too. If you can, best to maintain neutral or retreating jump space to set up for Hishokyaku or Kuchugetsuzan. On the ground, she has excellent normals that can reach far (st.D) and hit wide even (st.C). Strongest HD combo ability she has starts from cr.Bs, so be aware of blocking low. Hououkyaku in the air is great advantage to have. And if you expect a (string of) Ukihane soft veritcal dives, try to block correctly or counter with a weak Hienzan. Mature is quite vicious with her slashing, meaning you'll probably be blocking Metal Massacre or Death Row a lot and GCAB or GCCD at least once in this match-up. Ebony Tears is a tall, slow-moving projectile that is a great lead-up for her to run forward or use Despair on you. The best defense in this case is a great offense. Just as she pressures you, pressuring back is the way to go. Anticipate Despair with a Hienzan (it's recommended that you respond according to the strength of her attack - weak for weak, strong for strong), or a back jump with Kuchugetsuzan. At mid-range, EX Hangetsuzan is quicker than most of her moves, so be willing to use this, but mid-range also is her best option for using the Heaven's Gate DM. A quick reactionary Hououhitenkyaku can knock her out of the air decently, but not recommended against Despair often. Maxima has guard points galore, but you shouldn't let that nor his size intimidate you. Maxima's first lines of defense are his guard-point normals (st.C/D) and M4 Vapor Cannon, most of which can be beaten out by Kim's sweep. Having M19 Blitz Cannon means you should hop to Maxima more than jump at him. And though he's slow-moving, Maxima Press makes him a freight train if he manages to grab you, so be careful. Maxima is mostly vulnerable to low attacks, so cr.Bs into a few combos will make a big difference. Hangetsuzan can actually last against several Maxima moves with guard points, and he's very easy to knock out of the air with Hienzan. Even moreso than Maxima, Raiden is a big wall that can get around and intimidate pretty well with j.CD and Giant Bomb. Poison Mist makes a decent keepaway, and being a grappler, it's smart not to always rush him down on the ground, despite Raiden being potentailly dead-game to Hangetsuzan and Yopuchagi. Use Hishokyaku and Kuchugetsuzan in moderation or you'll get caught by the Raiden Bomb. Pay attention to whether Raiden is doing any kicks or intentionally keeping distance, and he might be preparing to use Dropkick. Ralf definitely has an arsenal that makes for heavy striking. Jet Uppercut, Explosive Punch, and Vulcan Punch make for excellent anti-air options. An individual Yopuchagi shouldn't be tried just to close the distance, as Ralf's long-reaching normal can stop it. Gatling Attack, just like Clark is what he'll use to move forward. Close combat with Ralf is best usually, while being aware of Burning Hammer to try and stop you. Empty hopping with net you a chance to damage him if he uses Explosive Punch. Just like with Shen, watch Ralf's meter; Galactica Phantom is easy damage for Ralf if he catches you off guard or hopping around. Robert's annoyingly long legs are nearly as much a detrement as Kim's are a benefit. Robert's emphasis on kick attacks are what will give you the most problems. Normals like st.D are a great anti-air, st.B is just as good a poke as Kim's st.B. Hienshippukyaku is an even better zoning tool than his Ryugekiken fireball, and a common strategy would be to set-up Ryukgekiken and follow-up with Hienshippukyaku. Hienryujinkyaku's diving is similar to Kim's in arch. Ushirogeri, like Iori's Yuri Ori, is something to watch out for in-case you notice Robert triangle jumping off the wall. And being on the defensive against Robert leaves Kim open to Ryuren Geneikyaku. Mid-range against Robert feels like one of the only safe places, as he's well-equipped with up-close and somewhat frustrating at long distances. Best way to get in on Robert is probably an unexpected Kuchugetsuzan or Hishokyaku. Yopuchagi can be risky as his Ryugekiken or Hienshippukyaku can take care of that easily. And aerial Hououkyaku is Kim's most opportune DM possibility. Ryo being the most grounded and maybe the strongest of the Kyokugenryu fighters, means more of his moved are designed that he doesn't have to move around as much. Given that style, rushing him down is your best option, but a challenging one. Ryo's Kohken is among the best keepaway fireballs in the game, and having your moves parried by Jodanuke and Gedanuke can be big trouble if he counterattacks with something quickly. Hopping toward Ryo at mid-range with a j.C/D and starting a combo can avoid some parry problems. Be careful of the Hyochuwari overhead if you're ever on the defensive. Minus Ryo's j.CD and EX Ryukohranbu, getting in on Ryo from the air might be the easist way to get at Ryo. Being the command version of Ash, Saiki will be much more aggressive and tricky, especially if you're used to Ash style. Mostly you'll see Saiki using Kiyoku no Tsuki to projectile zone, Hanetsurube no Nata to counter or anti-air, and cr.B into Hiori no Kusabi comboing. Hyperhopping over the Kiyoku no Tsuki is doable, but not full-proof. Since you might find Saiki in the air a lot, be prepared to do one or a few Hienzans. Only attempt a Hishokyaku or hopping Kuchugetsuzan from mid-range. If Saiki is leaping around over you, he might be prepping the Yami Otoshi DM, so don't hesitate to backtrack or hop back into Kuchugetsuzan. Kensou being a little speedier than Kim means you really can't rest. His main threat stems from low hits (cr.B or st.B) into the Ryutouda rekkas. Jumping in on Kensou shouldn't be frequent unless he's being pressured and blocking with his vertical-hitting st.D and his Ryugakusai. As speedy as Sikuzanryukyaku is, smarter Kensou players can put you in a vortex position as you have to defend against low hits, the Chokyudan projectile, with the Sikuzanryukyaku to follow. If Kensou is in the air, assume he'll use Ryusogeki to dive in on you like Kim's Hishokyaku can. This verison of Takuma without a command dp, but more fireball options with Ko Ou Ken and the shorter-reaching Kyoukugen Ko Ou means you'll have to maybe avoid more spamming, but don't have to hesitate as much to hit from the air. He's still dangerous in close range with Kyokugen Houken grab that opens you up for possibly a long combo string. Takuma's Hienshippukyaku has a fast speed that reaches far in the D version which will also lead to more combo's if you're get caught in it. As said before, Kim can expose Takuma a lot from the air. But don't rely on it the whole match, as he still has a great j.CD and a faster-moving Haohshikoken DM than others. His qcf+B has a good amount of pushback on block and recovers fast. Alone (or after a cr.B) on block, you can hit him with s.B, qcb~hcf+BD, his B and EX version flash kick (d~u+K), or his NeoMax (qcb~hcf+AC). If used at the end of a blockstring with two (or 3) cr.B's, it is safe because of the pushback. The offensive beast himself, Mr. Karate poses a serious threat for all, including Kim, but he's beatable. Ko'ou-ken or Hi'en Shippukyaku is his usual ground advance, and Kohou and Hi'en Shippukyaku for aerial. Full-screen isn't an advantageous position with long-distance Ko'ou-ken and EX Shorankyaku able to catch you off-guard. As many options as he has for advancing, close-to-mid range is where you want to be against Karate. Jumping at him isn't recommeded against his strong Kohou or a quick Ryuuko Ranbu; an empty hop can bait a Kohou for you to take advantage. For Karate's Hakyokujin, since Kim doesn't have a projectile, you don't have to worry about the overhead counter. Hangetsuzan can work as intimidation or connecting. Hopping back plus an (EX) Hououkayku usually catches an advancing Karate off guard, and be ready to use Hienzan to counter his many j.CD attacks. Terry has several remedies for Kim attacks if he reads you correctly. Power Wave is easy to avoid as a ground projectile, but it can set-up for a C verison of Burn Knuckle. Youpuchagi is a great counter to Power Wave on reaction. Burn Knuckle itself is a great forward attack, but if you guess which version correctly, can punish from the air or with a cross-up. Crack Shoot will be used if you're in the air lot, along with Rising Tackle and Power Geyser if they're willing to spend the meter. Terry's chaining cr.A to cr.C is one of his main strategies to use, so prepare to block low if you see him running at you. Terry's qcf+AC (EX Power Wave) can be avoided on the ground by Kim's EX qcb+K, or simply his ff+A. D version and EX Crack Shoot are relatively safe on block. The A version of Burn Knuckle (qcb+A) at it's last active frame (at max distance length) on block is very hard to punish. If it performed at a close range, it is easy to punish. The C version can be punished on block from any distance. Punish both versions (normal and EX) of his Buster Wolf (qcfx2+K) as quickly as you can before his recovery time runs out. Vice in some ways is a very opportune opponent for Kim. Even though she's a grapper at heart a lot, close-range is preferred. Mid or long-range can get you caught by Decide which is her easiest way to pull off a Negative Gain DM or an HD combo. She does have Mayhem to catch you out of the air, and splash if you're blocking low. Putting the pressure on her up-close or just a little bit out of grab-range works in your favor. Hangetsuzan and Yopuchagi as forward moves can be taken advantage of, and Hououkyaku in the air catches most of anything she tries. Yuri is a character that's ready to defend or attack from the air a lot. Saiha is one of the best anti-airs in the game, and should keep Kim hopping more than jumping. Seeing Yuri jump straigh-up vertically should be a sign of Raiouken fireballs coming down, which is best to block or run under. Jumping/hopping should mostly be anticipated as Houyoku, which the best remedy is a B or D Hienzan to counter attack; B or D would depend on if she right in-front of your position (D) or past that point (B). This picture demonstrates different jump heights/distances. The forward moving jumps/hops display one image at the apex of the jump and one at the landing point. This page was last edited on 15 December 2014, at 19:57.